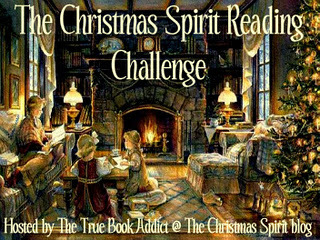 I've decided to take part in a slightly modified version of the Christmas Spirit Reading Challenge hosted by the True Book Addict. Instead of reading books about Christmas, though, I'm gonna read books about Yule (with maybe a Christmas book or two thrown in). I'm starting a bit late, but should still be able to fit quite a few in by the end of the challenge. For the full rules, visit the challenge site. I'll be going for the Christmas Tree level (or in my case the Yule Tree level). I'll also be doing Fa La La La Films, because I looooove holiday movies, and Visions of Sugar Plums, which I hope still counts when you're reading kids' books to yourself and not to kids, because I don't actually have any kids. I'll be writing review posts for the books as usual, and I'll also maintain a list of what I read and watch for the challenge here. I hope you'll join me in the holiday spirit! I'm so late! So sorry. Just wanted to officially welcome you to the challenge. I hope you enjoy it!